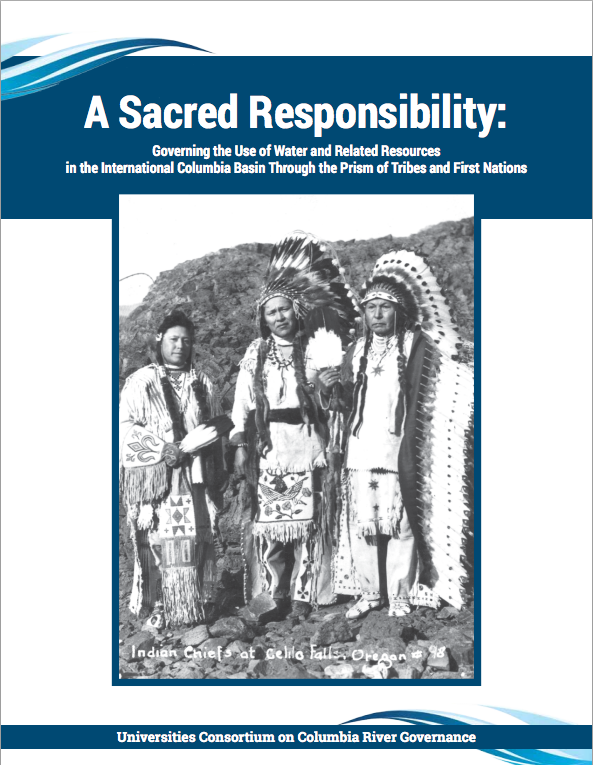 The report is based on the 4th transboundary symposium held at in Polson, Montana, in October 2012 and convened by the University Consortium and involving tribal and First Nation leaders along with about 150 other people and organizations including CELP. The role of tribes and First Nations in the negotiation and implementation of international agreements like the CRT is a function of both domestic and international law, as well as a body of indigenous law that helps define how tribes and First Nations participate. International law in general is largely silent as to the capacity of non-state actors, including tribes and First Nations, to participate in the process of negotiating international treaties. In practice, and in the context of the international Columbia Basin, international law provides sufficient flexibility to both Canada and the U.S. to involve tribes and First Nations in the process of negotiating and implementing agreements for the conservation and management of transboundary water and related resources. Both Canada and the United States have previously invited tribes and First Nations to participate as members of various international negotiation teams and to play roles in successfully implementing international agreements. In the United States, the President has exclusive authority to appoint a team to negotiate an international treaty, and nothing prohibits the President from including tribal representatives on an international negotiating team. The U.S. Senate also has the power to appoint “observers” to an international treaty negotiation. In Canada, the federal government has the discretion to include First Nations in an international negotiating team as well as an affirmative legal duty to consult with and accommodate First Nations interests in various circumstances. Under certain circumstances the federal government or federal Crown may also be compelled to consult with, accommodate, and in some cases seek “consent” from First Nations with respect to positions to be taken in international negotiations. 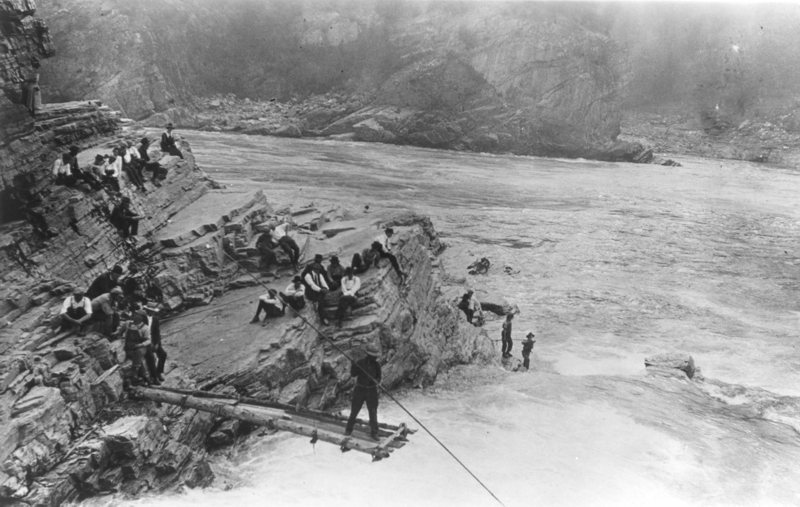 The international Pacific Salmon Commission between Canada and the United States is a good example of how tribes and First Nations participated in the negotiation of the Pacific Salmon Treaty (PST), and now participate in the implementation of that agreement through the Pacific Salmon Commission. The Nordic Saami Convention, Inuit Circumpolar Council, and Great Lakes Water Resources Compact and Agreement also demonstrate an international trend to include indigenous peoples in both negotiating and implementing governance arrangements for the use of transboundary land, water, and related resources. tribes and First Nations in negotiating and implementing future governance for the international Columbia Basin. Encourage the Entities to establish and maintain an “advisory committee” on ecosystem function to provide ongoing input and advice to the Permanent Engineering Board, a bilateral group responsible for operational implementation of the CRT. Today 16 religious leaders sent a second request to President Obama and Prime Minister Harper to begin negotiations to modernize the Columbia River Treaty based on ethical principles of stewardship and justice. The religious leaders’ letter comes one week in advance of the release of Pope Francis’s Encyclical on climate change and the deteriorating global environment, providing a North American example of a river severely damaged by past decisions and unfolding climate change. In 2014 the first request letter was sent by different religious leaders and also indigenous leaders representing 15 Columbia Basin tribes in the United States and 17 First Nations in Canada. “The Columbia River is the historic lifeblood of the tribes who have lived in its watershed from time immemorial. And rivers are the lifeblood of the planet. 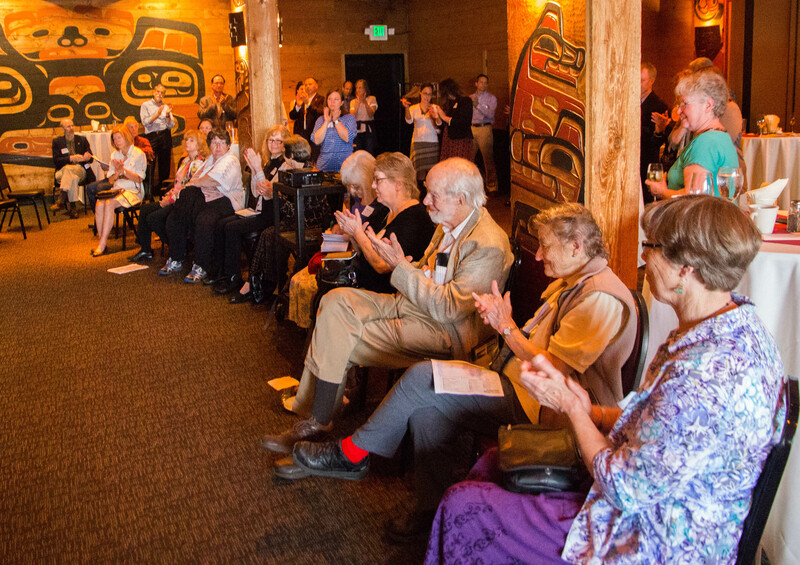 As a matter of justice, and as a matter of survival, I join with others across the watershed in urging the modernization of the Columbia River Treaty,” said The Rev. Jessica Crist, Bishop of the Montana Synod, Evangelical Lutheran Church in America. Religious and indigenous leaders are asking both nations to establish an international model of resolving transboundary water conflicts by applying the Declaration on Ethics and Modernizing the Columbia River Treaty. The Declaration sets forth eight principles for modernizing the Columbia River Treaty that include respecting indigenous rights, protecting and restoring healthy ecosystems with abundant fish and wildlife populations, and providing fish passage to all historical locations. In May, the U.S. State Department informed Congressional leaders that negotiating the Treaty was a national priority, and that the U.S. would seek to add Ecosystem Function as one of the primary purposes of the Treaty. The State Department decision is based on Regional Recommendations issued in December 2013 by the Bonneville Power Administration and the Army Corps of Engineers. All four Northwest states, 15 Columbia Basin tribes, fishermen and environmentalists support that recommendation. Religious leaders have joined in support of Tribes and First Nations. 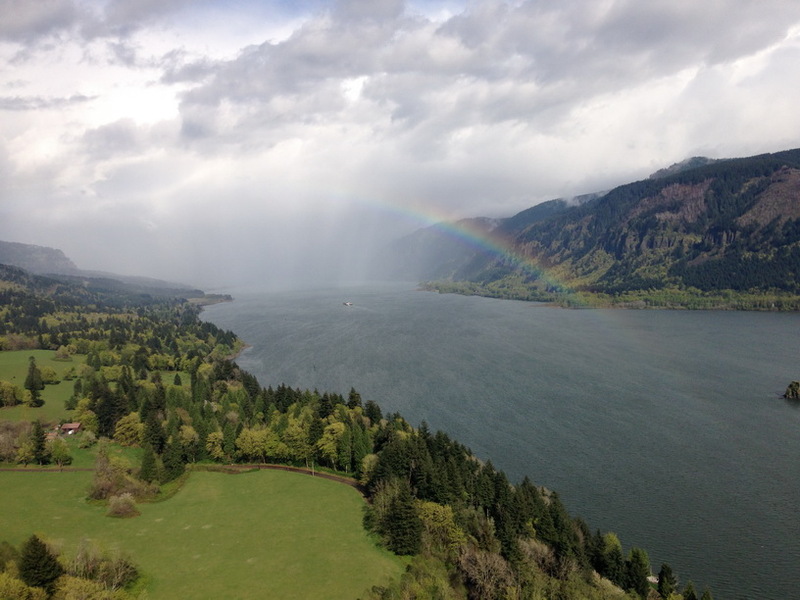 A foundation for this growing support by the faith community is the Columbia River Pastoral Letter released in 2001 by the twelve Roman Catholic bishops of the international watershed, and based on region-wide listening sessions. 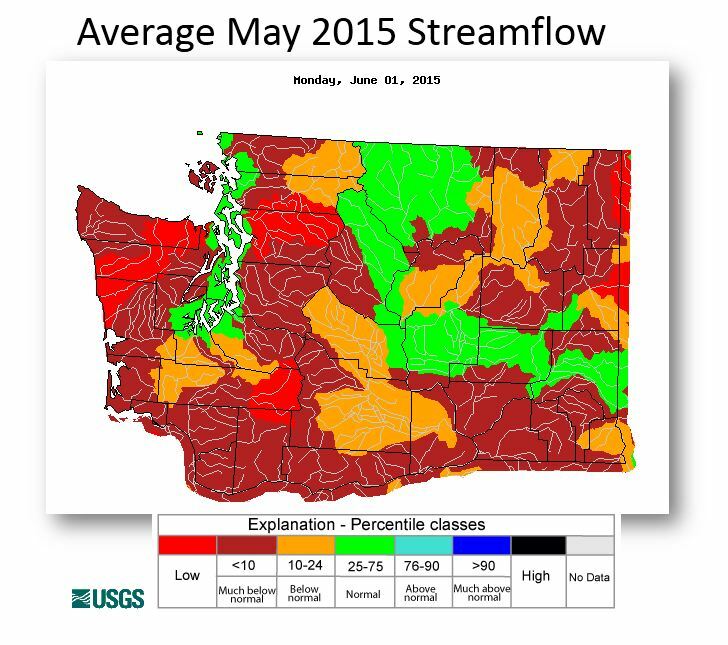 With glaciers melting in the headwaters and water temperatures rising in the lower Columbia River, climate change is already threatening the river and fisheries that depend on the river. Adding ecosystem function as a third treaty purpose co-equal with hydropower and flood risk management would encourage both Canada and the United States to co-manage the Columbia River as a single river, restore salmon to areas now blocked by dams, and reconnect the river with floodplains. Today Northwest conservation groups and the fishing community praised the U.S. State Department for including ecosystem function in the nation’s negotiation position as it prepares to negotiate the Columbia River Treaty with Canada. 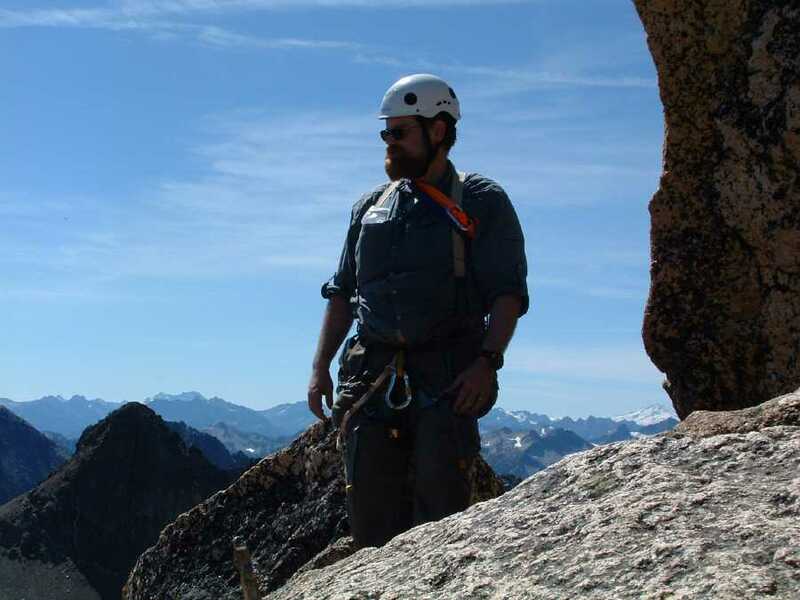 The State Department’s decision came in a May 20 letter received on May 28 by members of the Northwest Congressional delegation, and is based on Regional Recommendations issued in December 2013 by the Bonneville Power Administration and the Army Corps of Engineers. In the face of mounting regional concern about the need for the United States to move forward and negotiate with Canada, the State Department letter emphasizes that modernizing the river treaty is a priority for the nation: “The Administration recognizes the significant economic and cultural role the Columbia River plays in the lives of your constituents in the Pacific Northwest, including numerous communities in Washington, Oregon, Idaho, and Montana. We assure you that the future of the Treaty is a priority, and internal deliberations are gaining momentum.” The State Dept and the Council of Environmental Quality briefed the regional’s Senate staff on February 27 and May 5, and the House staff on May 27. “WaterWatch of Oregon commends the Obama Administration for taking the initial steps needed to get the region to the goals of abundant salmon runs, healthy river ecosystems and economic vitality for the many communities that depend on the Columbia River,” said John DeVoe, WaterWatch of Oregon’s Executive Director. 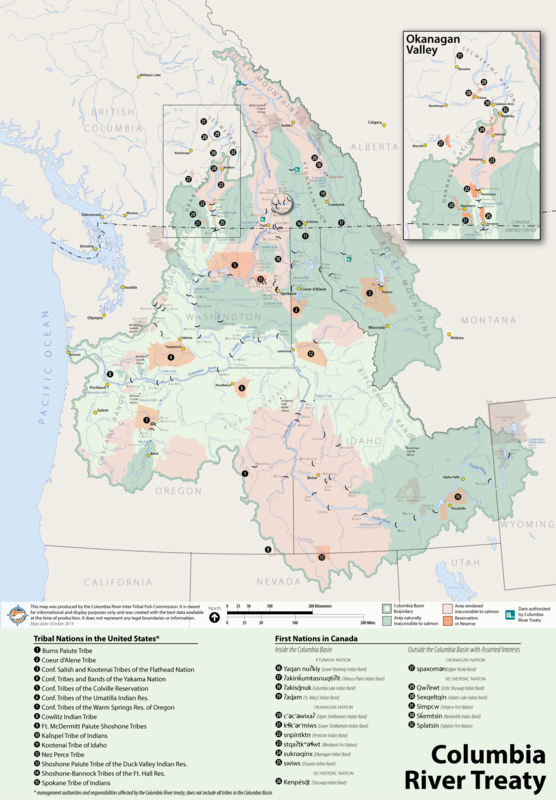 The basis for the State Department’s decision is “Regional Recommendation for the Future of the Columbia River Treaty after 2024,” issued in December 2013.That recommendation includes restoring the ecosystem as a primary purpose of an updated treaty, co-equal to hydropower and flood control — a feature that will make the Treaty a model of international water management. “The Regional Recommendation gives the Obama Administration a unique opportunity to improve the health of an iconic international river. The northwest Congressional Delegation, and in particular, Senators Murray and Wyden, are to be commended for recognizing the need to seize the moment,” said Greg Haller, Conservation Director for the Pacific Rivers Council. All four Northwest states, 15 Columbia Basin tribes, fishermen and environmentalists support that recommendation. Religious leaders have joined in support of Tribes and First Nations, based on the Columbia River Pastoral Letter. 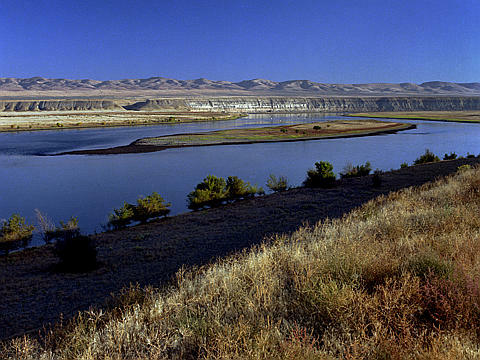 The Columbia River Treaty went into effect in 1964. In 2024 flood-risk responsibility, now shared by Canada and the U.S., shifts to the United States. Canada would only provide assistance when the U.S. requests help. Such a change will have major impacts in the U.S. on reservoir levels, hydropower production, water supply, irrigation, and salmon. As written, the recommendation includes a public process to explore innovative ways to manage river flows and flood risk.